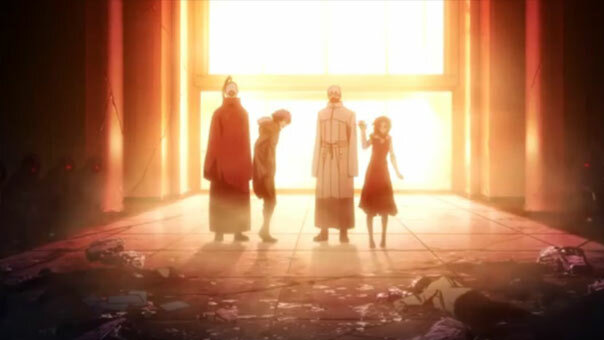 TG’s first season ended abruptly with the lesson that You can’t have it all, and in Ken’s present situation, wavering pacifism is no longer an option. His survival, and the survival of those dear to him, required him to transform himself drastically, something Yamori helped him along with quite nicely. In this, TG’s expected second season, we pick the sprawling battle right where we left off in episode 11, and the show continues to dart from one battle to another to keep things fresh. I’ll admit my memory was a little fuzzy ( I also don’t have the benefit of having read the source material, which likely fleshed some of these guys out :P) but it’s still all very heated and exciting. One pertinent battle is the one between the Kirishima siblings, which Touka is losing badly until Ken appears to scoop her up and stand in as Ayato’s opponent. 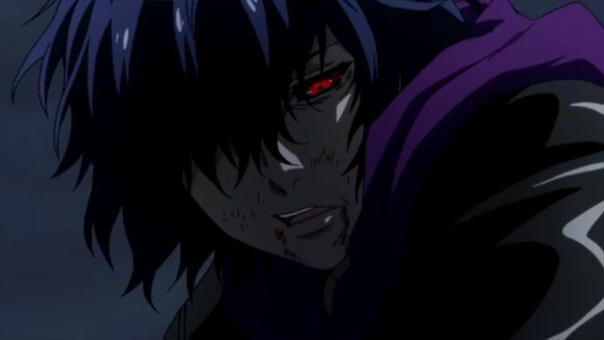 It must piss off Ayato to no end that all of a sudden Ken isn’t so easy to take down. Indeed, Ken makes it look easy with his graceful evasions. Ken isn’t here to kill Touka’s brother, though. 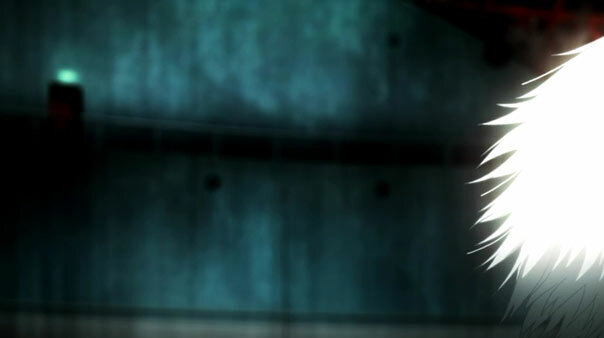 Rather, he says he knows Ayato’s “secret”, and why he joined Aogiri Tree. 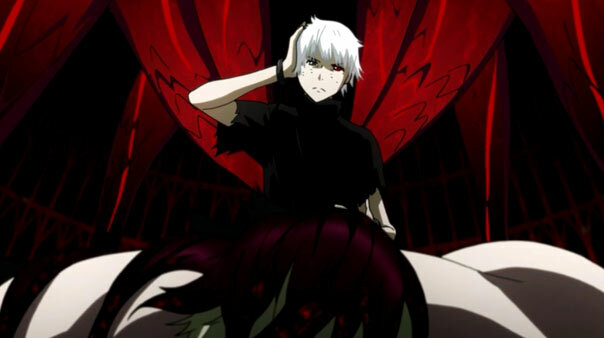 This pisses Ayato off even more, because knowledge is power. Noro finally breaks up the fight, snatching Ayato up and retreating as a number of explosions rock the site of the battle. Ironically, I had suggested Harude simply bomb the hell out of the mall rather than commit so many men to what amounted to an enormous trap to kill as many men as possible. Harude’s top men can’t quite eliminate the Owl, but nor does the Owl eliminate them, and if I’m not mistaken, even saves one of them from getting crushed. 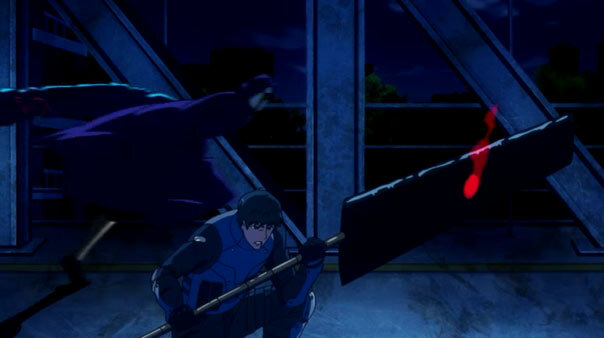 I must say, with their nifty full-body, life-sapping “Arata” quinque-suit things, they definitely made their fight a lot more interesting than it had any right to be, what with the Owl going all philosophy professor on them. Once the battle is over, the episode lags a bit, which I’m guessing is meant to build up tension about when Ken will do next, as well as introduce a few new characters, but it still lags. That’s not to say it isn’t without its charms: there’s a couple of nicely-staged encounters, first, as Eto emerges and recedes from the smoke in several different places, almost teasingly. Another is when Touka is propped up against a tree, looking forward to going home, and warns Ken he’ll have to do something about that crazy white hair. 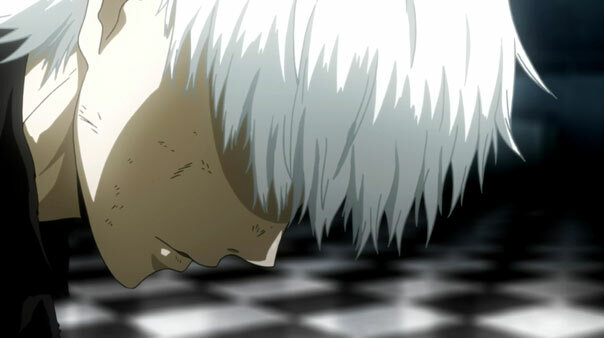 But Ken isn’t going back to Anteiku, even after all the trouble they went to to rescue him. No, Ken is going to Aogiri Tree. It’s a drastic but sensible move on his part, and for the sake of Touka and the others, not himself. He has to see where his dark potential, brought forth by Yamori’s torture and by letting Rize out of the cage, perhaps for good. He’s through doing nothing. Now comes figuring what exactly he can and should do, now that he’s doing something. I for one am game; the warmth and comforts and easy smiles of a place like Anteiku are no longer any kind of place for this new Ken. Much of this episode was mind-searingly unpleasant and hard to watch with full focus, and I don’t think that was an accident. 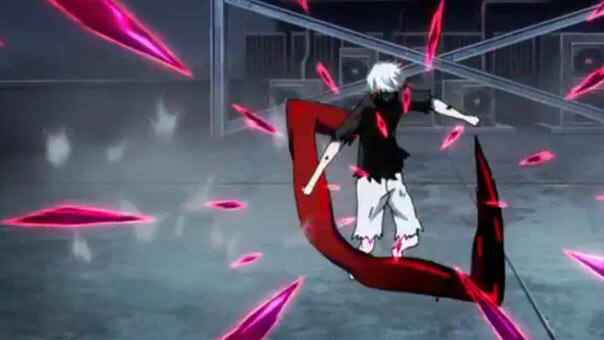 To give Ken’s eventual acceptance of Rize within him and the transformation that followed proper heft, The route to the destination had to be as excruciatingly awful as possible. 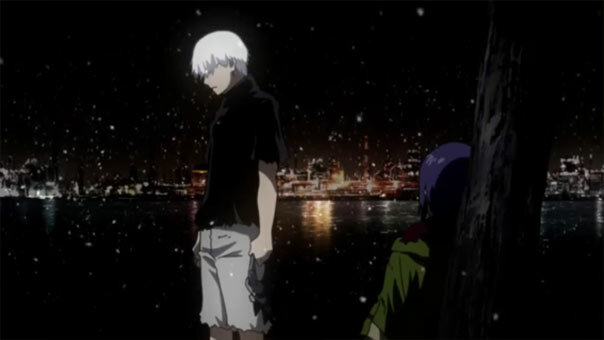 Of course, that doesn’t make for the most enjoyable viewing experience, but I think this final episode of Tokyo Ghoul (for the time being) ended up succeeding because it adopted the same philosophy that Ken had always rejected and refused to live by but by the end of the episode embraces with gusto: You can’t have it all. Sometimes you have to choose. Sometimes survival requires change…horrible, irreversible change. Yamori is fascinated with Ken’s healing ability, and also getting a kick out of snapping off his toes and watching them grow back. Thankfully this grotesque spectacle is not continuous, but segmented with scenes of Ken in an abstract construct of his mind. While Yamori destroys him out there, Rize works on him in there, eventually uncovering Ken’s unconventional mommy issues. Represented by a field white flowers, Ken’s mom literally worked herself to death trying to make enough for her and Ken to survive while her sister came by often seeking money, which his mom always gave her. 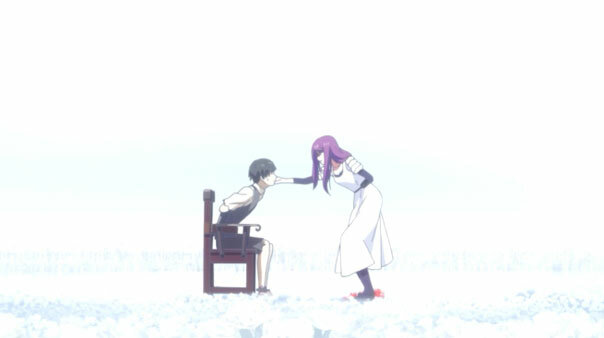 Rize argues his mom died because she refused to choose between her son or her sister. 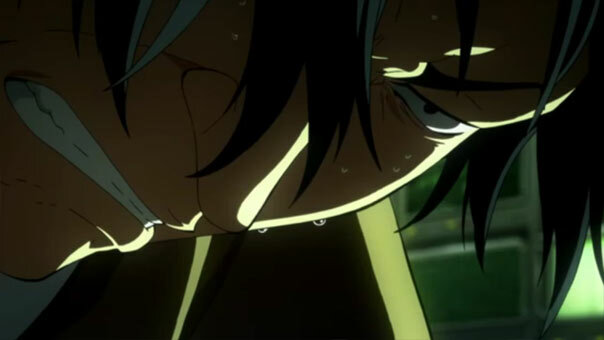 When Yamori asks Ken to choose between the two assistants who were trying to help him, he can’t do it, and as he wallows in his decision not to choose, Yamori kills them both. He might’ve done that anyway, regardless of who Ken chose, but it gets to a more fundamental decision in which Ken has chosen to abstain: the reality is, with Rize within him, he is far stronger than Yamori. Ken loved his mother so much, he vowed to live by the very mindset that led to her death. 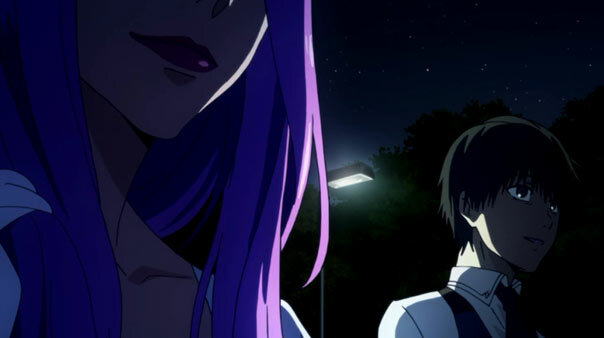 It takes Rize some talking, and showing him possible futures in which Hide and Anteiku are killed for Ken to finally snap and come around to her way of thinking. 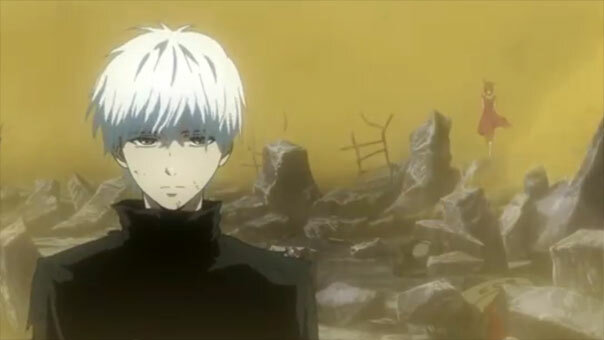 The first part of TG’s finale last week dealt with the ver external battle between Doves and Aogiri with Anteiku, but it follows it up with a very internal, cerebral battle between Ken’s often self-destructive pacifism and his dark potential. Ultimately, Ken seems to turn because he has so much to lose. He won’t make the same mistake mom did and lose all the people he’s come to care for since. 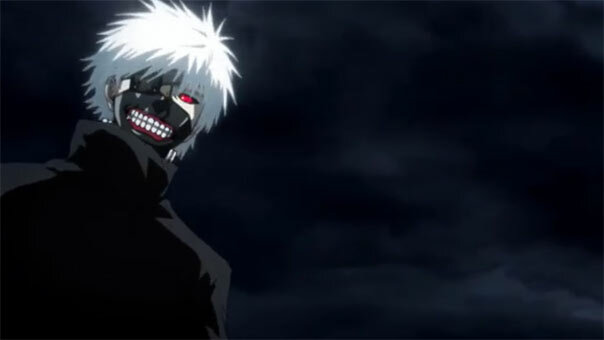 To prevent his friends’ annihilation at Yamori’s hands and defeat him, Ken must give up whatever semblance of restraint he had upon his ghoul side, and let Rize out of the cage, even if getting her back in later proves impossible. 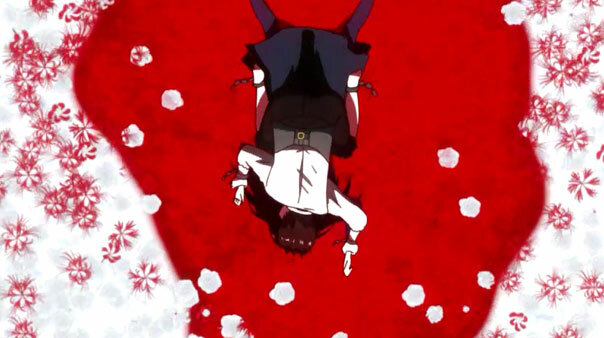 The white flowers turn red and Yamori is dispatched with ease, and TG closes out its first season just as it began: with Rize (in one form or another) messily feasting upon a ghoul. Because devouring others (one way or another) is what life is all about! 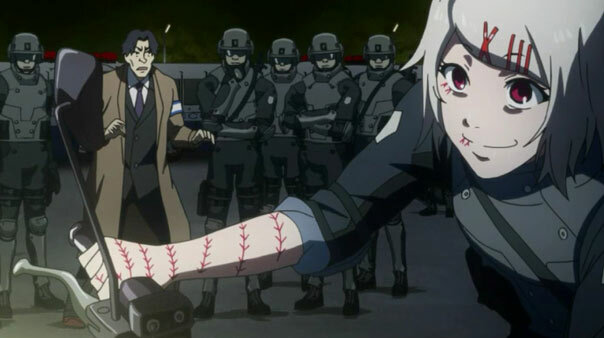 As the CCG, a thousand strong, stages a massive raid of Aogiri Tree, who number around half that, Anteiku wisely decides to use the ensuing chaos as cover for their rescue mission. Rather than dump us right into the middle of the biggest battle TG has attempted yet, we get a little bit of the waiting time that precedes it, followed by a pretty impressive (and somewhat terrifying) display of police force. 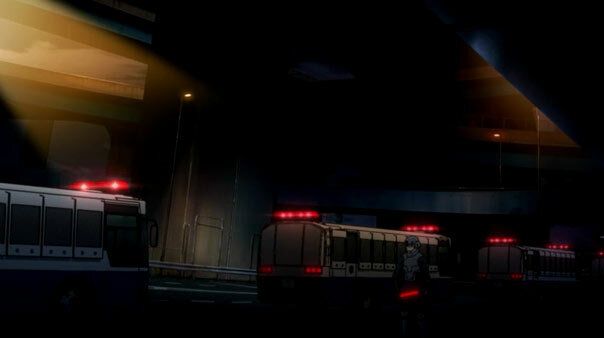 Things start out pretty orderly, with lines of CCG and Aogiri exchanging gunfire and hiding behind shields. But the battle keeps from getting stale or boring by keeping things moving and jumping from one matchup to another. Juzo proves his worth and viciousness by eliminating An Aogiri sniper’s nest single-handedly, sacrificing his boss Harude’s prized motorcycle (whom he regards as “the perfect partner” in the omake) in the process. 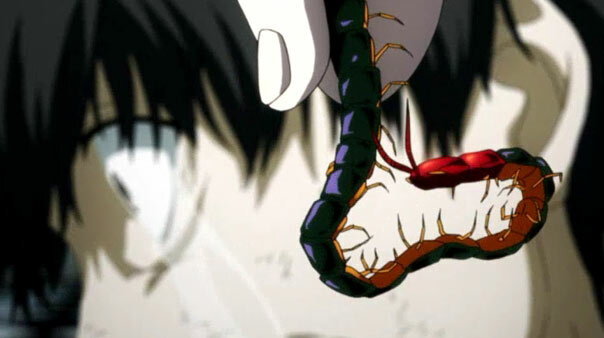 One notable face-off is between Touka and Amon, who is still so torn up over Mado that his thirst for revenge, along with the extreme present conditions outweighs whatever desire to reconcile with ghouls Ken might’ve instilled in him. He wants Touka dead. Fortunately for her, the S-rated Bin Brothers interrupt the fight, allowing her to escape. Using Kura, the two-handed quinque Mado left him, he dispatches the Bins, but there’s still a lot of bad guys left to slay, so there’s no time for congratulations. Doesn’t anyone want my giant satay stick? 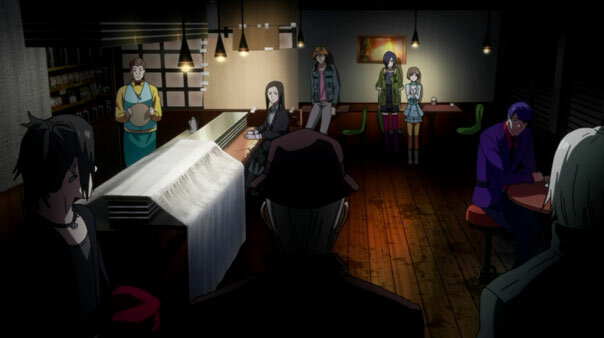 Other matchups include Yomo and provisional ally Shuu teaming up against an Aogiri elite, Touka bumping into her brother Ayato yet again, and the climactic meeting of Harude’s right-hand man with the legendary “One-Eyed Owl”, which is shy of the camera but resembles a huge, horrific beast. Harude orders his man to fight the Owl with as few men as possible; no point in too much needless death…right? 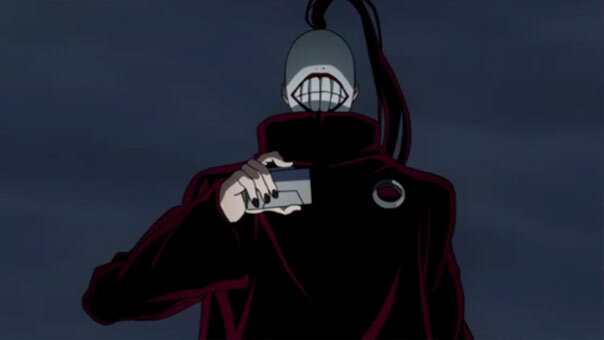 One takeaway from the battle is that the humans could have possibly taken the ghouls by being “wily”, as Mado told Amon when they were first paired up. But Harude isn’t particularly wily; he assumed having double the numbers and rushing in at full power would be enough to deal with Aogiri. Something tells me they rushed in too fast and too recklessly, and while they’ve taken out scores of foot soldier-level ghouls, most of the far more powerful higher-ups remain extant. But if Harude wanted to bomb the mall into the stone age, he could have. But he wanted a true battle, and he gets one. 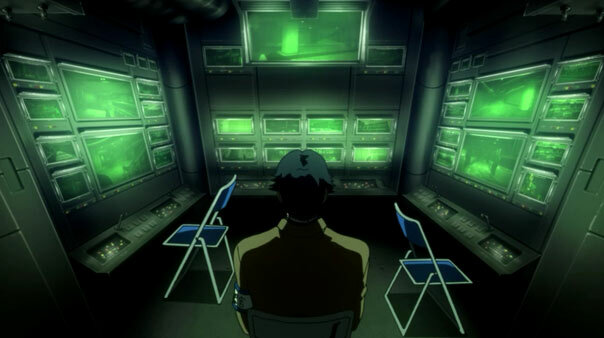 For the entire episode, Ken is tied to a chair in a large domed hall in the heart of the mall, and Yamori/Jason is using him as a plaything, subjecting him to the same sickening, brutal torture methods he himself underwent as a prisoner of the humans. It would seem that experience made him stronger and crazier. Ken seems to be getting broken pretty badly both physically and mentally himself, but Banjo and his underlings assure him he’ll be rescued. I’m sure he will be, but the Ken Anteiku will end up won’t be quite the same Ken that was taken from him.